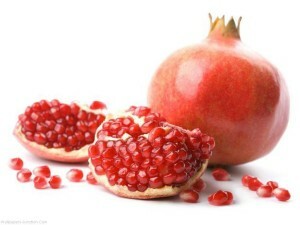 Each week we’ll be digesting one of the fruits of the Spirit. This week: LOVE. What is love? How should we love? Opening activity: Begin by making a bit of a collage of things that represent love (maybe draw them, or do a google search to see what comes up — just makes sure child-safety is turned on!) e.g. heart, roses. If you’re the leader, throw some controversial ones in there to represent different sorts of love e.g. a homeless person, coffee, a dog, money. Do your group members associate these with love? Why or why not? Harrison talked about different sorts of love (see leader’s notes). What different sorts of love can you think of? Which of these do you struggle with at times? Introduce the story of the Good Samaritan. What does your group know about it? Read the parable of the Good Samaritan. Luke 10:25-37. If it’s helpful, draw a mind-map of each of the different characters. Get the group to list each character, who they were, how they acted in the story (the group may need help from the leader to give a bit of background in Jewish-Samaritan relations, the role of a priest in society etc.). What would be modern equivalents to each of the characters? Get creative. Perhaps the Samaritan is a Muslim Syrian refugee for example. 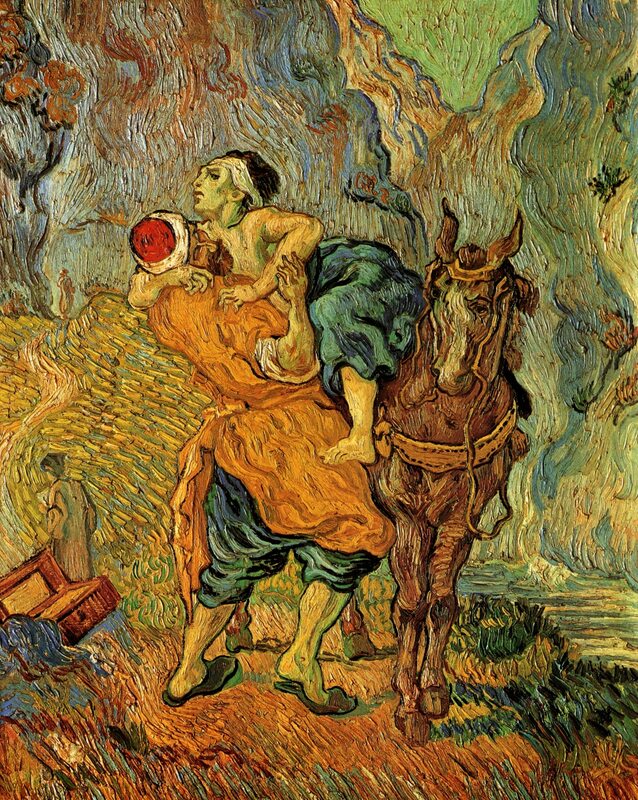 How could you practically act like the Samaritan? 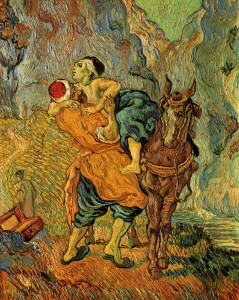 Look at this painting of the Good Samaritan by van Gogh (the guy that cut off his own ear!) Van Gogh is painting himself as the beaten up person (notice the bandage around the head). The different sorts of love include eros (sexual love), philia (familial love), agape (God’s love, charity). We could also include things like self-love. The Jews had a strained relationship with the Samaritans at the best of times (read Luke 9:51ff.). One would certainly not trust the other, and there may even be hostility between them. Priests and Levites were respected members of Jewish society, representatives of the people to God, knowledgeable in the scriptures, pure and upright people. We often assume Jesus is intending us to see ourselves as the Samaritan. But he was talking to Jews. It was the outsider, the least likely person, who was able to show love. What does it mean for us to receive love from the outsider? And what does it mean that the outsider is able to love in a way the Jewish characters didn’t? Some commentators even draw connections between the beaten up person and Jesus. Jesus, the Son of God, suffered and died at the hands of humanity (like the man on the road). Jesus is the one who makes himself vulnerable to be hurt and rejected so that there is no part of our human experience that is unknown. In fact, to receive love is a crucial part of love. God is Father-Son-Spirit, a relationship of love. The Son is eternally receiving the love of the Father in the bond of the Spirit. In the same way with us, to truly love means to makes ourselves vulnerable to others. ← Why do we have denominations in the Church?